Having started her career as an analyst at the Federal Reserve Bank in Chicago, Juliana quickly moved into the private sector as a credit analyst in Detroit. For nearly 20 years, Juliana held positions in credit, small business lending, and private banking, building a rich track record of experiences. In 2006, Juliana came to Fifth Third Bank where she is a relationship manager developing financial solutions for companies that have revenue from $2-20 million. Since arriving at Fifth Third, Juliana has drawn on her deep experience in credit and specialized programming to support companies in a broad range of industries and is often called upon to speak at various small business organization functions. Juliana received a bachelor’s degree from Florida A&M University in business administration with a minor in marketing/management information systems. She also has pursued further studies in Trust Administration and Urban Planning. Juliana is a June 2012 graduate of Leadership Detroit’s Class XXXIII. A native of Chicago, Illinois, she is happily married and has one son. She is also actively involved in her community serving in various leadership capacities. Juliana is a member of the Urban Financial Services Coalition, previously serving as an advisor and recording secretary. She was a two-term treasurer of the Women’s Committee, an auxiliary of the Charles H. Wright Museum of African American History, where she currently remains a member. Juliana also served as board member of the Belle Isle Women’s Committee prior to its transition to the Belle Isle Conservancy. 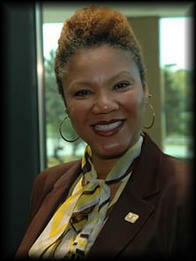 Most recently, she accepted a board position with the Institute for Population Health.